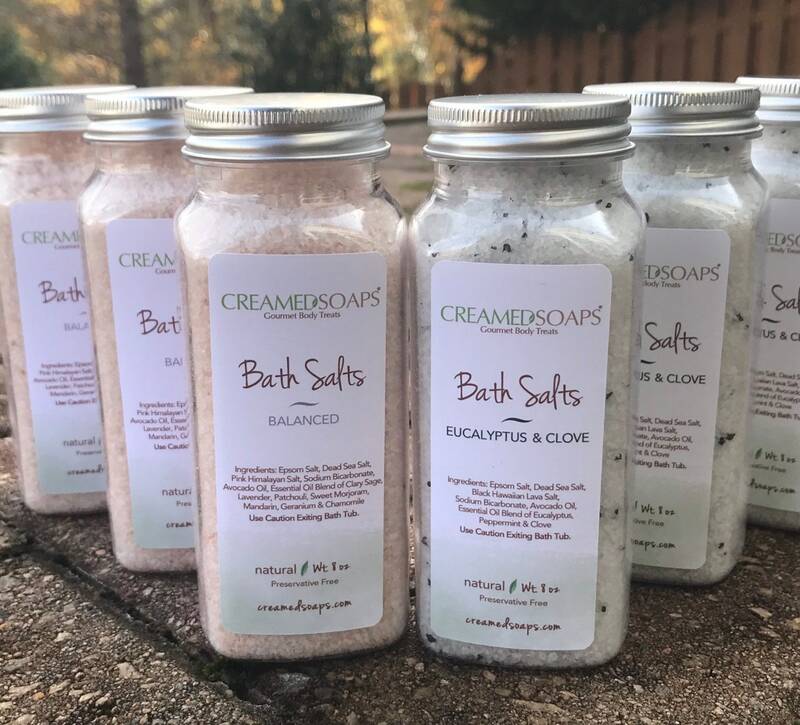 CreamedSoaps proudly offers our Luxury Bath Salts in Bulk! This listing is for (12) of our 8oz Bath Salts! You will receive (6) "Balanced" and (6) "Eucalyptus & Clove". Our salts are professionally packaged and ready for Sale or to be Gifted. Epsom Salt, Dead Sea Salt, Black Hawaiian Lava Salt, Pink Himalayan Salt, Sodium Bicarbonate, Avocado Oil and Essential Oils. Love all the products from these guys! They are the perfect addition to our organic boutique an d spa!